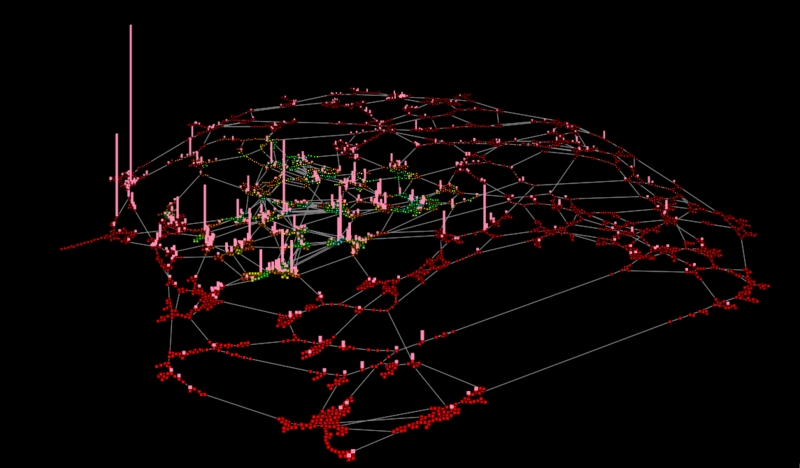 There is an entity in EVE that is nearly synonymous with high security space. That entity has been an unofficial feature of EVE for 10 years now. They have helped many, many players find their way through the early stages of the game and never once asked for anything in return. That entity is EVE University and they are 10 years old this week. I approached the current CEO, Azmodeus Valar; Director of Education, Bairfhionn Isu; and Teaching Director, Neville Smit and asked them several questions about EVE University, this anniversary, and of course the future. Could you give us a brief intro on yourselves? How long you have been playing EVE, how long you have been with EUNI, and what you do there? Azmodeus Valar (AV): I have been playing EVE since 2006, and in E-UNI since Sept of 2007. During my time in Eve University I have gradually worked my way up the chain until my current post, CEO. As CEO I oversee the entire University to make sure we are all working towards the appropriate goals. Bairfhionn Isu (BI): I’ve tried EVE several times but never stuck to it. In 2011 I tried it again and thought about joining E-Uni to stay in EVE a bit longer than some months. It is spaceships and stuff after all. I joined and had fun. After half a year or so I became the Events Manager and became Director of Education after a short while. As a Director it is my task to oversee my departments (Teaching, Mentors, Events) to achieve our mission. Neville Smit (NS): I started playing EVE in the summer of 2009, wandered around for a few weeks bewildered, and then heard about EVE University. I joined to get a feel for the game, with the intention of leaving after I got my bearings, but I enjoyed the corp so much, I never left. After learning a bit about the game, I started teaching classes, and due to some bad decisions by UNI management, I am now Teaching Director, working for Bairfhionn, who is always mean to me. Assume for the moment my readers and I are new to EVE. We know nothing about your organisation. Tell us about EVE University and its mission in game. AV: E-UNI exists to give new players a place to learn about EVE in a supportive community. We maintain neutrality so that our students can move on to whatever section of EVE interests them. We operate in all known areas of space, covering as many different activities as possible to help our students learn what aspect of EVE they enjoy. NS: EVE University exists to share knowledge about EVE Online, and help players have more fun in the game. We provide support for new players, but also welcome older or returning players who want to try some new things in EVE, too. We don’t expect people to stay in E-UNI – once they feel they are ready, they can move on, and that is OK by us. But many people stay to help teach and share their knowledge with others, and we appreciate that, too. 10 years is a long time. What keeps your organisation going, especially when you deal with a transient member base? BI: We have no goal that will get in the way of other entities. We want to have fun and get as many people as possible in on it. We are neutral since we don’t want our students have any problems to get into other corps/alliances. That goal has and will never change. Staying true to that goal helped a lot to stay on that path and exist for 10 years (and more). NS: As CCP Games says, EVE is hard, and as a result, EVE University serves an important purpose: to help players overcome that steep learning curve and be more successful in the game. At that point, they can start to have some real fun, and are far more likely to keep playing. As long as EVE remains a challenge by design, there will always be a role for EVE University, and a demand for the kinds of services we provide. It’s the reason we continue to thrive, after a decade of operation. Any idea on how many students have passed through your halls? Are there any particularly “EVE-famous” EUNI alumni out there? BI: We don’t have actual current numbers but it’s in the tens of thousands. We know that some of the current and former employees of CCP joined E-Uni and went on from there (most notably probably CCP Unifex). Lots of leaderships of corporations have EVE University in their corp history. When you go through systems and check local you usually always see some Alumni. NS: At Fanfest over the last two years, at least a couple dozen CCP devs told me they got their start in EVE Online as an E-UNI member. They definitely appreciate what we do for the community, though they are very careful not to show us any favoritism. James Arget, now a CSM member, started in the UNI, as did EVE blogger Rhavas. We’ve had so many groups of players spin off from the UNI to form their own corps, I’ve lost count. That is fine with us – many of our alumni come back to provide advice in our chat channels, forums, and in guest lectures, or as guest fleet commanders, so having a big alumni network is a very good thing. What events are planned for the 10th anniversary? Any specific event that you guys are most proud of? Anything you wanted to happen but just couldn’t pull off? AV: We’ve had a tremendous series of guest speakers agree to work with us for our 10th birthday. People like The Mittani, Lahari, Grath Telkin, Jonny Pew, Jean Leaner, and Chribba have all agreed to come and speak with our students, as well as our original founder, Morning Maniac. We would have liked to have more people, but the list we did manage to get is amazing. NS: We are doing a lot of public interviews and Q&A sessions with EVE celebrities, which are always interesting, enlightening and a lot of fun. We’re also packing the calendar with classes, almost all of which are also open to the public – you don’t have to be a UNI to participate: check our calendar at http://calendar.eveuniversity.org/ – and we are doing free-for-alls and other special events. There’s a few things to see or do just about every day, all month. 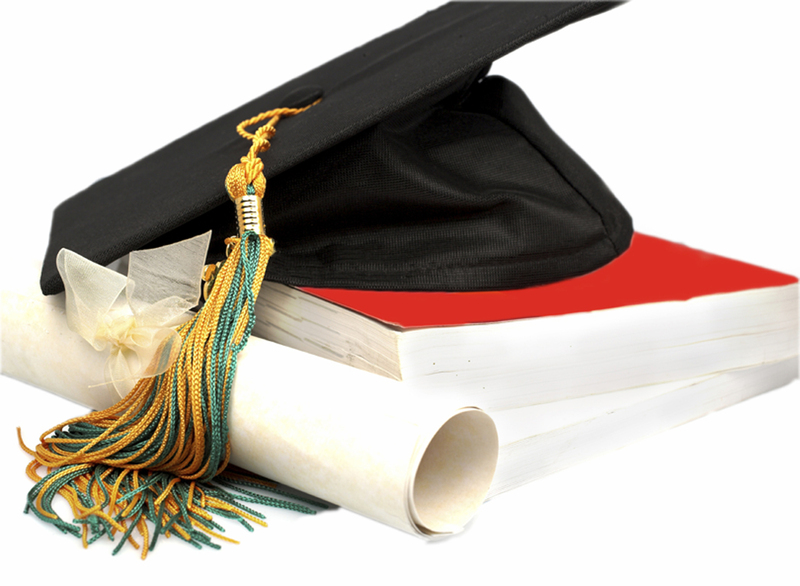 Mirroring how several real world higher learning institutions have opened up courses to the public, I note that in the past year EUNI has begun offering classes/courses to the wider EVE community. How is this program going? Have you seen a spike in interest due to this? AV: We’ve noticed great reception to our public classes so far. It seemed like the natural evolution of what we’ve offered. Our wiki, for example, has always been public and is frequently cited by people outside of E-UNI for its articles. BI: In theory all of our classes have always been “public”. All you needed is a forum account. It was just a logical step to make classes really public (on a public mumble server http://eveuni.org/publicmumble) where you can just get in and learn about things. We don’t have actual accurate numbers of how many non-Unistas are joining the classes (since it’s a public server) but from what we hear during the classes is that about up to a third of the attendees are out of corp. The EUNI wiki is widely cited as one of the best, if not the best, out of game reference sources in EVE. Is there a large team assigned to it? Did you guys ever think the wiki would take off like it has? AV: Our wiki truly is a product of our entire community. When we first launched it, we had no idea that it would grow to the size it has now with several million hits per month. We have a small team of people who oversee technical aspects of the wiki, but the majority of the content is generated by our members and alumni. Anyone is welcome to come help us expand its information. BI: A wiki only is as good as its content creators. If you see something wrong/outdated, just edit it! Apart from some E-Uni pages (like Rules etc.) everything is open to being edited, by everyone who has a forum account. Each year you change up aspects of your various operating policies. Last year it was WSOP changes, this year you are trialing lowsec and nullsec PVP policy changes. Are these changes done to keep you “fresh” or are they done because member focus demands it as such? AV: EVE is a constantly adapting game as players adapt their own styles of play to changing game mechanics or the tactics of other players. We try to constantly look at our policies to find the best fit for our students in the current meta-game of EVE. It is purely us trying to maintain an environment that that will allow us to help our students. NS: Just as EVE Online has turned more game options over to player control, so EVE University has done the same thing in our own policies. Compared to when I first joined E-UNI, there are practically no rules left at all! What does the future hold for EUNI? Where do you see it in another 10 years? AV: I get asked this constantly and always give the same answer. We will be doing what we’ve always done, helping new players learn about EVE. I hope we continue to be a strong helpful community until EVE shuts off its last server. BI: Having a community having fun playing this game. Like what we do right now and over the past 10 years. 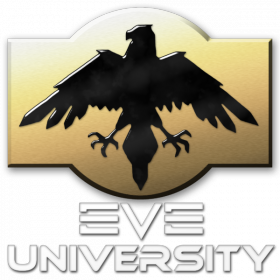 NS: As EVE Online changes, so will EVE University. We’ll remain committed to helping players thrive and have fun in the game. Perhaps we’ll be doing classes with our Oculus Rift headsets in virtual reality classrooms by that time! Regardless, I’m supremely confident that E-UNI will always be a part of the community, as long as the game continues – and I expect to be teaching some of those E-UNI classes myself in another decade. So, much like EVE has evolved over the past 10 years, the communities most well known teaching institution has done so as well. In my opinion it is this ongoing evolution that has allowed it to thrive and grow along with EVE, which has enabled it to reach this milestone. And to continue providing the environment they do for players looking for a solid grounding in the what, why & how of EVE when they first join. Indeed a considerable number of the people I know in game would not have stuck with the game were it not for EVE University, be it former students or members of RvB who enjoy shooting them so much, that they stick around in the hope of doing it again!